According to the first words we hear in perhaps the most popular time-travel flick ever (thanks to an ad on Doc Brown’s radio), October is inventory-time. 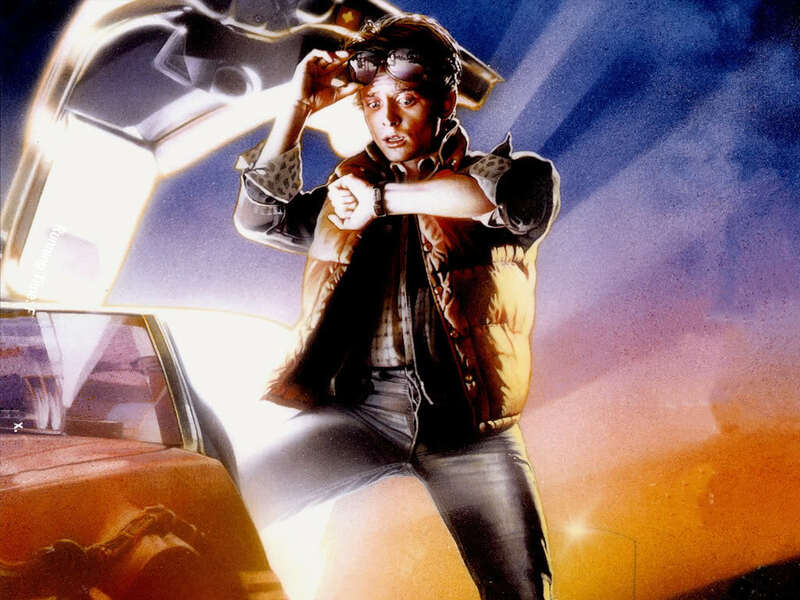 Well, here at George’s Journal, October is most certainly Back To The Future-time, as we celebrate the 25th anniversary of the release of this mind blowingly successful, terrifically entertaining and wonderfully endearing trilogy’s first movie. But where to start? Where to begin? Where does the story of this corner of much lauded and oh-so much wallowed-in ’80s screen nostalgia kick-off? 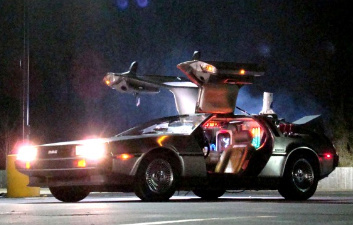 That night in 1985 when the DeLorean first hit 88mph? Or, earlier, at The Doc’s house that fateful day in 1955 when he first realised time travel was possible? Or, even earlier, way back in 1885, that is, when farmer Seamus McFly discovered a strangely dressed chap on his land claiming to be Clint Eastwood? Well, while they may all be fitting starting points, in actual fact the story began in the summer of 1980 when filmmaker Bob Gale visited his parents’ house in St. Louis, Missouri. Along with his friend and collaborator, Robert Zemeckis, Gale had just made and seen released their third film together Used Cars, a satirical, knockabout comedy set in the world of used car salesmen (Gale had co-produced, Zemeckis had directed, and together they had written it). Like their previous two films – I Wanna Hold Your Hand (1978) and 1941 (1979), the latter directed by cinema’s biggest thing since, well, Cecil B DeMille, Steven Spielberg – Used Cars turned out to be an unmitigated flop. 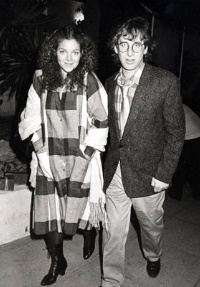 As a duo then, the pressure was on Gale and Zemeckis – in the dollar-driven environment of the Hollywood movie machine they needed to produce a hit, or their careers would surely be dust. However, it just so happened that, while rooting around in his parents’ dust-laden basement, Gale found something that set in motion the formation of their next film’s story. It was his father’s highschool yearbook. Granted it wasn’t exactly Gray’s Sports Almanac, but it was quite the find. Why? Because, through it, Gale discovered his father had been president of his graduation class. Thinking back, Gale hadn’t particularly known his own graduation class’s president and this made him wonder, if he’d have known his dad back in the day, would the two of them have been friends? Perhaps there was something in that, the germ of the idea for a film? Gale told Zemeckis about it and the latter came up with the notion of a woman who claimed never to have dallied with boys but had, in reality, been promiscuous at school. They took the project they had worked up out of the two ideas to Columbia Pictures and struck a deal with the studio to develop a script. Unfortunately, however, teen comedies of the period tended to be far more adult in tone – National Lampoon’s Animal House (1978), Fast Times At Ridgemont High and Porky’s (both 1982) – than the script Zemeckis and Gale had on the table, ensuring their potential movie found itself in development hell. One option, though, was to approach the family-friendly Disney, but when they did so that studio ironically said their script was too adult, owing to it featuring a mother getting the hots for her son. Finally, their last option appeared to be approaching Spielberg again, asking him to produce and thus provide the muscle to get their picture made. They were reluctant, however, as their previous efforts I Wanna Hold Your Hand, 1941 and Used Cars had all involved the fast-becoming King of Hollywood and all had flopped – they didn’t want to become known for only getting films made because they knew Uncle Steve. All that changed, though, following Zemeckis directing a bona fide hit, the Indiana Jones-inspired and eminently entertaining Romancing The Stone (1984). Suddenly, the goalposts had moved; he and, by association, Gale would be taken seriously. They went to Spielberg and their lastest flick together was set up at Universal Pictures. Although the film had now been greenlit, its title needed deciding on. Head of Universal at the time Sidney Sheinberg suggested Spaceman From Pluto, his notion being that the name of a comic a boy reads in one scene could be changed in the script from Space Zombies From Pluto to Spaceman From Pluto. Spielberg got on the case and embarrassed Sheinberg into reneging on the idea, insisting that Gale and Zemeckis had thought his suggestion was a joke. 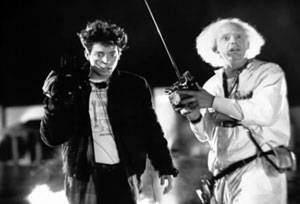 The film thus retained the title the filmmakers had given it, Back To The Future. Back To The Future, of course, tells the tale of 17-year-old Marty McFly who, through association with older, eccentric scientist friend Dr Emmett ‘Doc’ Brown and his newly invented time machine (built into a Delorean DMC-12 car), manages to accidentally and sensationally travel 30 years back in time, finding himself in the 1955 version of his home town, California’s fictitious Hill Valley. Once there, Marty’s obvious aim is to return to the present, so he enlists the help of the 30-years-younger Doc, but also comes across both his parents (who are his own age and in highschool) and manages to disrupt their falling in love – indeed, his mother falls for him instead of his father. So Marty must somehow ensure his parents do get together (otherwise he won’t exist) and with the Doc work out how he can, well, get back to the future. Like many of the best film plots, it offered something that hadn’t quite been done before, but was also brilliantly simple. Even so, such a good story as it was had required the ironing out of a few wrinkles – originally, Marty had needlessly been a video pirate, the time machine not a DeLorean but a fridge and the hero was to be sent back to the future via an atomic explosion at the Nevada nuclear test site. The latter idea was, naturally, replaced by a lightning bolt, but it just goes to show, lightning bolts didn’t always strike the two Bobs as they wrote Back To The Future – you have to work at perfection. Initially, the role of Marty was offered to ’80s Canadian popstar Corey Hart, but he turned it down. Zemeckis and Gale’s next choice was another Canadian, actor Michael J Fox who had proved he was a dab-hand at light comedy – and was fast becoming something of a heart-throb – on top-rating NBC sitcom Family Ties. Although Fox was more than keen, his contract on that show precluded him from the film. Next on the list then were ‘Brat Packer’ C Thomas Howell – who had starred in E.T. : The Extra-Terrestrial (1982) and The Outsiders (1983) – and Eric Stoltz. The latter had particularly impressed the filmmakers in his portrayal of a heavily disfigured teenager in the biopic Mask (1985), so Stoltz it was who won the role. Supporting him were Christopher Lloyd as Doc Brown – following first choice John Lithgow becoming unavailable; Lea Thompson as Marty’s mother Lorraine – on the strength of her starring opposite Stoltz in The Wild Life (1984), in fact, the two would appear together again in John Hughes’ Some Kind Of Wonderful (1985); arty actor Crispin Glover as Marty’s father George; and Thomas F Wilson as George’s lifetime bully ‘Biff’ Tannen. Filming got underway in December 1984, but just a few weeks into the shoot a major problem surfaced. 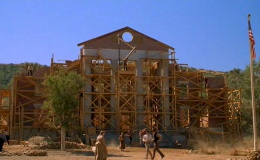 In the second week, Stoltz phoned director of Mask Peter Bogdanovic and confessed to him he was uneasy about the direction Zemeckis and Gale wanted and wondered whether he was right for the film. Two weeks later, Zemeckis himself came to the same conclusion and – even though recasting the role of Marty and, thus, shooting again from scratch would add $3million to the the flick’s $14million budget – he and Spielberg agreed to let Stoltz go and find another lead. The decision was because Stoltz was simply too dramatic and not light enough. 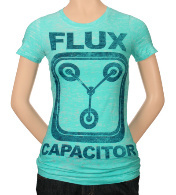 Clearly, with the aid of hindsight, it’s obvious a non-comedic Marty McFly would never have worked. So, it was back to Family Ties producer Gary David Goldberg to see whether he’d agree to release Fox in any way. This time a deal was struck – Fox would continue to work on the show throughout the week, but be free to work on the movie at night and at weekends. For sure, it was a crazy schedule for the actor, ensuring he averaged only five hours’ sleep a night and that exterior scenes – those that required natural daylight – were shot on Saturdays and Sundays. 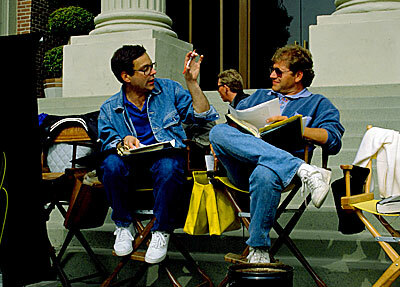 Robert Zemeckis has since referred to the movie as ‘the film that would not wrap’ and its necessary night-time shooting meant he was half-asleep and out-of-shape throughout. Still, on April 20 1985, after a full 100 days, it did wrap. Back To The Future was in the can. But when would it be in cinemas? Originally, the release date was set for August that year, but Sheinberg quickly moved it forward to the coveted Independence Day weekend sensing he had a hit on his hands. Why? Because at a preview test screening, in the words of Speiberg’s fellow executive producer Frank Marshall, ‘the audience went up to the ceiling’. In spite of Zemeckis and Gale only giving Industrial Light & Magic’s 32 effect shots the nod a week before the final completion date and the editors removing eight minutes of footage (including Marty witnessing Lorraine cheating on a test, George getting stuck in a phone booth before ‘saving’ her and Marty posing as ‘Darth Vader’) – or perhaps that helped – the movie wasn’t just a hit, it was an absolute monster. In total, it spent an amazing 11 weeks at the top of the North American box-office charts. Its opening weekend was the fourth biggest of 1985, and yet its second weekend was even bigger – suggesting excellent word-of-mouth. During its outstanding theatrical run, the bawdy, slapstick comedy National Lampoon’s European Vacation knocked it off Number 1, but it happily bounced back up to the top the following week. 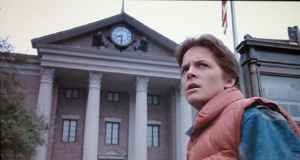 Indeed, audiences lapped up Marty McFly’s time-travelling adventures so much that the flick ended up becoming North America’s biggest film of the year (total gross: $211million) and the biggest film of the year worldwide too (total gross: $381million). In fact, as of June this year, the film stands at 59th on the list of highest grossers in North America (adjusted for inflation), with a total gross of $469million. But so much for the statistics, we all know it became a licence to print money for the two Bobs, Steven and co. – what about the effect it had on the public at large, its cultural impact? Well, that was just as large as the figures at the box-office. Nowadays, it’s genuinely difficult to imagine the 1980s without Back To The Future being a part of it. It is, simply, a seminal ’80s movie – among those unforgettable decade-definers like E.T., Ghostbusters and Beverly Hills Cop (both 1984), Top Gun (1986) and Wall Street (1987). On both sides of the Atlantic and probably further afield, I’d argue, it cemented tenets of ’80s Americana in the collective consciousness. Take, for instance, Marty McFly skateboarding as he holds on to the back of cars and, indeed, actually ‘inventing’ the skateboard (legendary skaters Per Welinder and Tony Hawk doubled for Fox); unquestionably this made kids outside the States realise just how cool skateboards really were, and soon, in the UK as well as across the pond, they were vying with the BMX as every child’s favourite garage-based toy. Also, the camcorder and the Sony Walkman cassette player (both used by Marty) were yet to cross over to these shores, but after this flick, by ‘eck were we looking forward to them coming! The movie acted as a brilliant advert for US youth culture of the ’80s that Britain fell for hook, line and sinker. Plus, lest we forget, featured oh-so coolly less than a quarter of a way through the movie was the perfect pop tune that is The Power Of Love. While the theme from Ghostbusters and The Heat Is On (from Beverly Hills Cop) failed to make their respective singers Ray Parker Jr and ex-Eagle Glenn Frey big solo artists, this Billboard Hot 100 topping-ditty helped make old fashioned rockers Huey Lewis And The News global superstars – following their flirtation with Hollywood, their records sold and sold (actually, amazingly there were two other hit singles named The Power Of Love in ’85, one by Frankie Goes To Hollywood, the other by Jennifer Rush). Moreover, Marty McFly’s wonderful performance of Johnny B. Goode – although, in reality not played or sung on the film’s soundtrack by Fox himself – contributed to the conspicuous renaissance of 50’s and ’60s soul, blues and rock ‘n’ roll hits in the ’80s; other previous hits from these genres often became ’80s hits thanks to them featuring prominently in Levi Jeans commercials. However, perhaps the most obvious side-effect of the mid-’80s Back To The Future phenomenon was its effect on the career of its star, Michael J Fox himself. While the standings of Lloyd, Thompson and Glover certainly rose thanks to the flick’s enormous success, it was Fox – the man who, as mentioned, was on the verge of major stardom anyway owing to his popularity in Family Ties – who hit the stratosphere. In 1985 he starred in the Number 1-rated TV show of the year and the Number 1-rated film of the year – surely a feat that’s never been repeated by an actor? Not only did he manage to make Marty McFly the coolest teenager since James Dean in Rebel Without A Cause (1955), but he also offered something new and unique among Hollywood stars; he was young and very fresh, yes, but also funny, energetic, sympathetic and loveable – you got the feeling he would be the cool kid who’d befriend the geeks and the one that a mother would trust her daughter with. On the strength of this blockbuster hit, he had further hits that made use of him in very similar roles – Teen Wolf (1985), The Secret Of My Success (1987) and Doc Hollywood (1991). None of them were as good as Back To The Future admittedly, but thanks to that film and Fox’s appeal they all inevitably made box-office tills ring with glee. 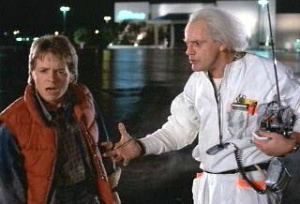 Talking of boffo-ing the box-office, three years later Zemeckis and Gale finally gave in to the clamour of fans and/ or fulfilled their inevitable ambition of bringing Marty, the Doc and the DeLorean back, but not for one sequel… for two. When it came to Back To The Future – and compared to other Hollywood adventure films – everything seemed to go that extra yard. And in the first of the two new films, Back To The Future Part II, the extra yard certainly was gone; a full 30 years into the future, in fact. 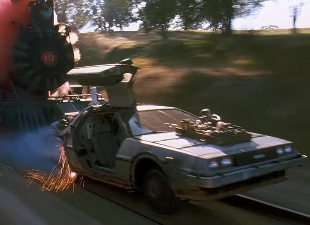 At the end of the original film, as a cheeky epilogue, Doc Brown had arrived at Marty’s house back from the future – the year 2015 – all gaudily dressed and with the DeLorean running on refuse (thanks to its ‘Mr Fusion’ fuel system) and insisted that both Marty and his girlfriend Jennifer, who’s with him, must accompany him to 2015. Once in the car, Marty informed his driver he wouldn’t have enough road in the street to get the DeLorean up to 88mph and thus travel in time, to which the Doc memorably replied ‘Roads? Where we’re going, we don’t need roads’, and, in immediate answer to this, the car rose into the air, tucked its wheels under itself and flew towards the camera and into the future. It was a fine, witty and fun way to top off the film, but inevitably left filmgoers salivating – what would Marty and the Doc do in 2015? What would 2015 look like? And wouldn’t it be oh-so cool to see more of the DeLoren flying? For the two Bobs, however, none of these questions had occurred to them; they’d never intended a sequel. When they finally decided to make one though, they found themselves having to come up with answers – and good ones too. BTFFII, therefore, gave its makers a titanic technical challenge. They had to make the DeLorean fly once more – and for more than one scene this time – and they had to realise an impressive Hill Valley c.2015 that didn’t shortchange the audience. Again, Lucasfilm’s Industrial Light & Magic was deployed for the special effects, of which, necessarily, there were far more in this film than the first. And it shows – and ILM’s brilliant work does too. 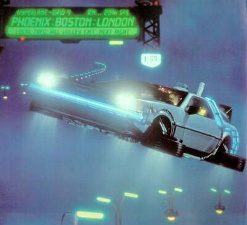 Perhaps the DeLorean flying, and so looking even cooler than it did the original, is the abiding memory of this film. However, the effects technicians’ work didn’t stop there. They also had to come up with other vehicles that could fly – after all, if just one car could fly in the future, surely all the others would have to as well? And they did, in addition to a highway floating in the clouds complete with flying taxis and trucks. But vehicles weren’t the only thing to get off the ground in BTTFII… enter the hoverboard. BTTFII aimed humorously to update – or, rather, ‘futurify’ – much of Marty McFly’s world , and this went so far that it included introducing a skateboard that mirrored the flying DeLorean – yes, the skateboard hovered; it was a hoverboard. Jokily and smartly bearing the logo of real-life toy manufacturer Mattel, the hoverboard proved such a hit that requests went out to its ‘manufacturer’ asking when they would be putting it on the market for the general public. Seriously. Mind, this occurrence was perhaps somewhat influenced by Zemeckis joking in an interview that the hoverboard was a real gadget built for the movie and not merely the invention of set designers and those clever beardy blokes at ILM. Featured in the film too were clever trainers that fitted the size and shape of any foot. Perhaps as these too bore the logo of a real manufacturer (Nike), people also wanted to know when they could get their mits on them. In the end, Nike gave in and made a BTTFII-style trainer available – alas, it wasn’t a one-size-fits-all model. Clearly the public would have to wait until 2015 – or maybe longer – for that technology to reach the shoe industry. 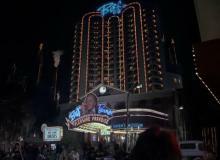 As far as fulfilling – or exceeding – filmgoers’ expectations in terms of the sets, production designer Rick Carter and his team took a full two years to design and and bring to life the Hill Valley of 2015. Instead of taking the chrome and spires approach of Blade Runner (synomymous with futuristic set design), they instead opted for colour, glass and light – in line with Bob Gale’s sentiment that Back To The Future‘s world of the future would be shot through with a thorough sense of fun. 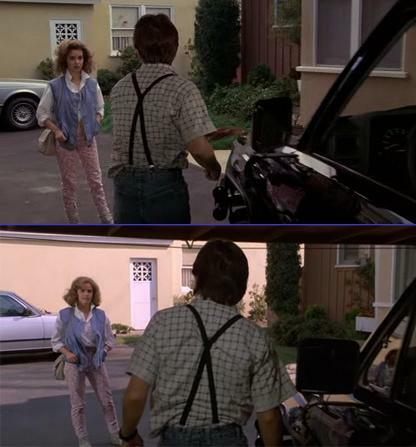 Elsewhere, technical wizardry was required for the realisation of Marty McFly’s future family – to be specific, the filming of the 47-year-old Marty, his son Marty Jr and daughter Marlene in one scene. The issue here was they were all played by Michael J Fox. The trick of featuring two characters played by the same actor in one scene had been in existence since cinema began, but never had such a scenario involved a camera moving about in that scene – to achieve that the special effects would indeed need to be smart. Thus ILM were called upon again to come up with a solution, which they duly did in the shape of ‘VistaGlide’. This technique was also used in the scenes in which an older Biff interacted with a younger version of himself. Meanwhile, Zemeckis was forced to produce a shot-for-shot re-filming of the original movie’s ending that could be used at the start of this film. But why go to all that trouble? Why not just use the original scene? Two reasons – first, the aforementioned scene in question (the Doc whisking Marty and Jennifer off in the flying DeLorean) had to be redone in order to change one or two little details relevant to this flick’s plot; and, second, actress Claudia Wells, who had originally played Jennifer, was unwell and couldn’t reprise the role in the sequels. So a new actress Elisabeth Shue – who would really make her name in the ’90s in Leaving Las Vegas (1995) – was cast and the scene reshot. If you like, this reshoot with another actor was like a small repeat of the refilming done for the original when Fox replaced Stoltz – talk about déjà vu for the crew. All the same, while BTTFII bulges with showy technical skill, it isn’t the film’s only – or even primary – concern. One might argue that, if you read between the lines, it’s the plotting that takes centre stage (indeed, perhaps the true strength of this entire trilogy is its commitment to story). For following the 2015 episode, the flick moves back to an alternate, nightmarish 1985 that has been created thanks to events that have taken place – with a bit of clandestine time-travel – in 2015. 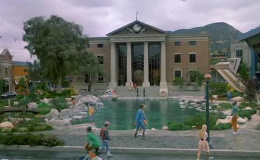 In creating this dystopian version of Hill Valley ’85, Zemeckis and Gale were clearly influenced by It’s A Wonderful Life (1946) – yes, it’s pretty obvious when you compare both films, but if you’re going to be an utter magpie and ‘steal’ from a movie, then you might as well pinch from one of the greats, as the latter is. Yet, that’s not the end to the jumping about in time, it’s then back to ’55 and nattily revisiting some of the same territory – nay, the same scenes – as the ’55-set ones from the original. Now that’s real déjà vu. Would the complicated plot (with its – count ’em – four time-travel trips in the DeLorean) prove too much for the audience’s poor bonces? Some cinemagoers did admit to being confused when coming out of BTTFII, and it’s certainly a movie that benefits from a second or third viewing, but it was still an unquestioned hit, earning $118million at the North American box-office and $332million worldwide – the third biggest grosser in the world in 1989. That’s not to be sniffed at by Einstein or anyone else at all. And neither is the series’ second sequel and concluding entry, Back To The Future Part III. In stark and smart contrast to its immediate predecessor, this one spends the majority of its length in one timeframe – 1885, a full 100 years before Marty McFly’s own reality. Why go this far back, though? Well, when, on the set of the first film, Gale and Zemeckis asked Fox which period he’d most want to visit in the role, he said he’d like to go back to the old West and meet cowboys. Perhaps, after playing such a huge role in the success of the first two flicks, they decided to indulge him? 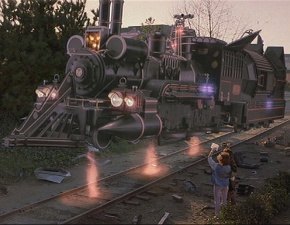 Yet, while BTTFIII clearly showcases both cast and crew having a whale of a time putting together a Back To The Future western – playing about with the genre’s conventions as they do so (a train hold-up à la Butch and Sundance, the ironically unhelpful arrival of ‘the cavalry’ and a high noon showdown all feature), the filmmakers certainly intended there to be more to this ‘un than merely that. Through BTTFIII, they carefully reveal the very beginnings of both the McFly family and of the town of Hill Valley itself, bringing the series nicely full-circle – in a suitably time-twisty way, naturally. Sections of the movie were filmed in the notorious Monument Valley in the Colorado Plateau, a very familiar film location, especially in westerns – Stagecoach (1939), Fort Apache (1948) and The Searchers (1956) were all filmed there. Plus, for the train sequences that are some of the film’s very best, California’s Sierra Railway heritage line was used. This location too harks back to Hollywood western history, having been used over the decades for the filming of flicks such as High Noon (1952) and for several old West-themed TV series. As a whole, BTTFIII was actually filmed back-to-back with BTTFII and was released just six months later in cinemas – the makers clearly confident that with its story so strongly following on from the latter, this one would be just as much a hit with audiences despite the relative lack of respite between the two films. And they were proved right – BTTFIII made $88million in North America and $245million worldwide – finishing sixth on 1990’s top 10 global grossers’ list. Although these numbers were slightly down on BTTFII’s, if anything over time the third film’s popularity has proved greater than the second’s – filmfans seem to prefer its simpler plot, its narrative more closely aligned to the first film’s and, who knows, maybe just the fact that it’s the series concluder and ties up loose ends? What is unquestionable, however, is the enduring appeal of the trilogy as a whole. Put together, the box-office grosses of the three films falls just $1million shy of an incredible $1billion – God knows how many rentals and video and DVD units they’ve shifted over the last 20 years too. And the story didn’t finish with the films either. 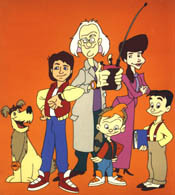 One year after BTTFIII hit cinemas, Marty, the Doc and Einstein’s adventures continued on the small screen, in the shape of Back To The Future: The Animated Series. Joining them on scrapes through time (and space) were the Doc’s wife Clara and children Jules and Verne (all characters appearing in the third film). Albeit this cartoon series ran for only two seasons, clocking up a total of 26 episodes, it had a fanbase that turned kids too young to have seen the flicks in cinemas on to the movies themselves. 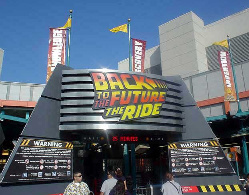 Also in 1991 a simulator ride, entitled Back To The Future: The Ride, arrived at the Universal Studios Florida amusement park, in which the Doc led ‘volunteers’ through time in pursuit of Biff. Two years later the ride opened at Universal Studios Hollywood. Indeed, both rides proved so successful that they only closed in 2007 – another opened at Universal Studios Japan in 2001 and is still going strong. And, of course, all this is not even to mention the huge ‘geek’ and Internet following the Back To The Future phenomenon has garnered for itself over the years. Although of neither the numbers nor perhaps the crazy commitment of Star Trek or Star Wars followers, Back To The Future fans are spread far and wide throughout the world and are loyal to the ends of the earth. Admittedly, perhaps not to the point of demanding Michael J Fox climb into the DeLorean one more time for Back To The Future Part IV, but after such a near perfect, wonderfully self-contained trilogy, who’d really want to see that anyway? Indeed, proof – if any were really needed – of the series’ enduring popularity can be found in the pudding that is, to celebrate its 25th anniversary, the re-release of the original Back To The Future film in cinemas on both sides of the Atlantic this month. I’ll certainly be indulging in a bit of time-travel back to 1985 (and, er, 1955) on the big screen, and I’ll be re-watching the other two flicks as well in order to give the whole trilogy, film-by-film, a good reviewing right here, just as they deserve – so look out for that.